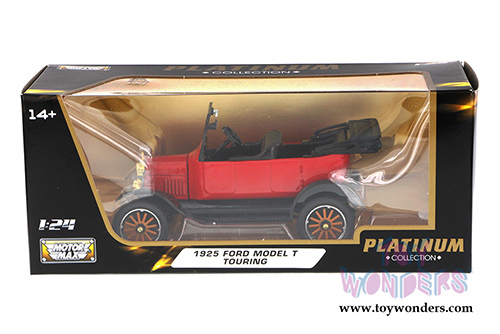 79328PTM Motormax Platinum Collection - 1925 Ford Model T Touring Convertible. 1:24 scale diecast collectible model car. 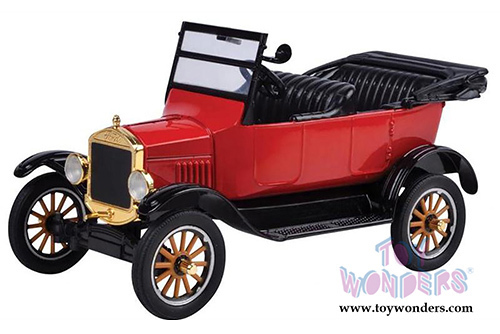 This Ford Model T measures 5.5"L x 2.5"W x 2.5"H diecast classic car, free wheeling. This 25 Ford Model T is manufactured by Motor Max Toys. Item 79328PTM is in RED color. Individually packed in a window box WB. Box size: 9.75"Lx 4.5"Wx 4"H.
To see more Ford Model T collector die-cast vehicles (click here).